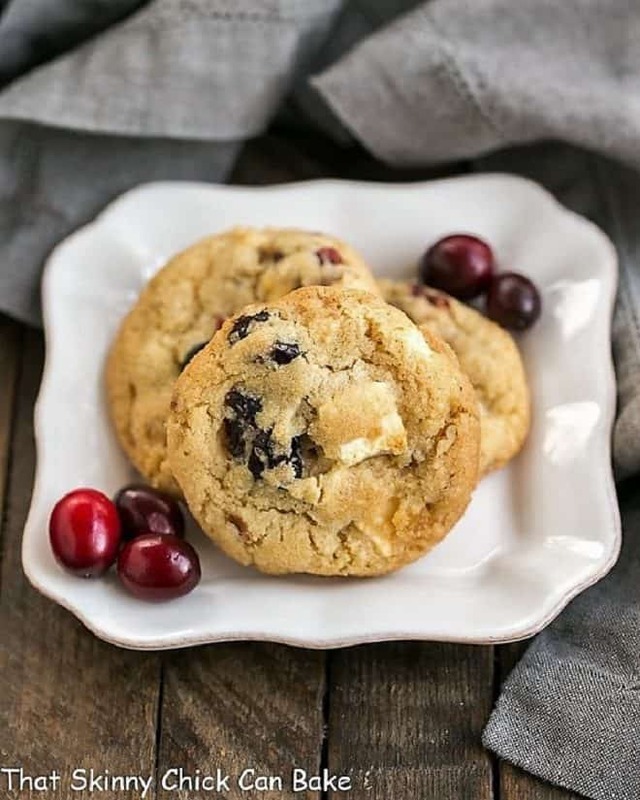 Cranberry, White Chocolate, Crystallized Ginger Cookies AKA Cranberry Bliss Cookies are lip-smackin’ good. So sensational, though, that you’ll have trouble not eating them all yourself! 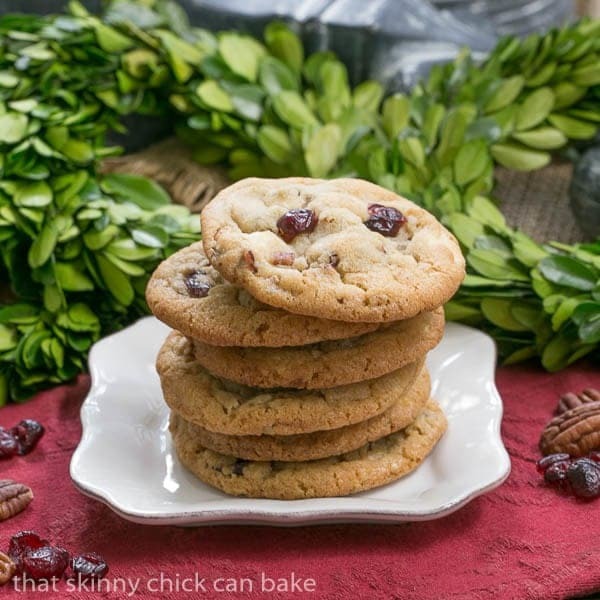 These flavor-packed cranberry bliss cookies rank near the top of my best cookies ever list. Besides the outrageously delicious combination of tastes to tickle every taste bud, the bite of these is like no other. There’s a certain snap when your teeth meet the sweet. These are not a crisp cookie, but not a soft chewy cookie either. These cranberry white chocolate crystallized ginger cookies are somewhere balanced perfectly in the middle of the spectrum. The term “cranberry bliss” was coined by Starbucks via their cranberry bliss bars. 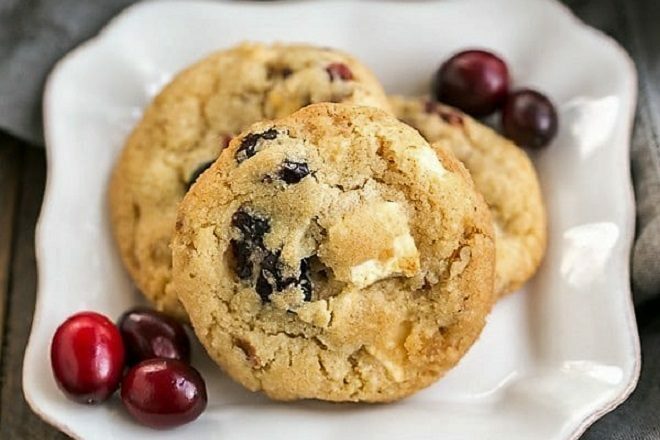 Utilizing the same flavors, these cranberry bliss cookies are irresistible. Here are some tips for making perfect cookies! Start by having your butter and eggs at room temperature. This allows for easier and more complete incorporation into the dough. Feel free to use white chocolate chips for these cookies, but I prefer using Ghirardelli white chocolate bars and chopping my own chunks. Line your baking sheet withparchment paper. This prevents your cookies from sticking to the pan and makes for easy cleanup. Use a cookie scoop/cookie disher to make consistent sized cookies. I like a medium scoop for these cookies. In general, I like under-baking my cookies just slightly. They will continue to cook a bit after they’re out of the oven from the residual heat of the baking sheet. This ensures a chewier cookie. 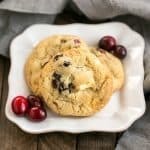 These Cranberry, White Chocolate, Crystallized Ginger Cookies freeze well, so you can make them ahead for the holidays. I like putting them in gallon sized freezer ziploc bags with most of the air removed for freezing. 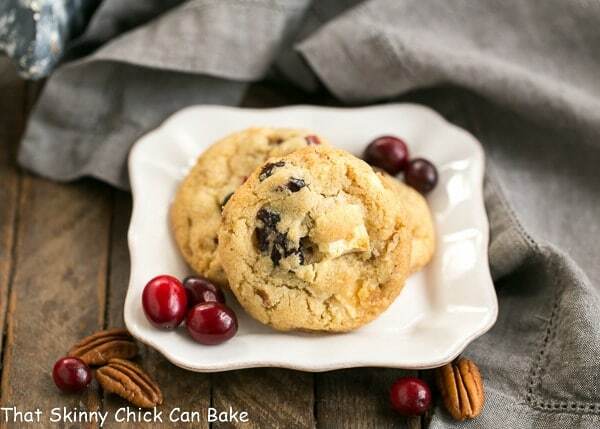 The addition of white chocolate chunks, dried cranberries, pecans and crystallized ginger make these cranberry bliss cookies some of the best you’ll ever eat. The cranberries make them super festive and the aroma of ginger in your kitchen while these are baking will put you in the holiday spirit. If you’ve been searching for a new cookie for your Christmas baking, give these cranberry white chocolate crystallized ginger cookies a try. Before you know it, the season will be upon us, so it’s time to stock up on butter, sugar (Imperial, of course!) and flour plus all the extras to make your holidays memorable. For more inspiration, make sure to check out all the delectable cookies from my blogger friends as we celebrate cookie week! Ginger cookies are the ultimate Christmas treat. 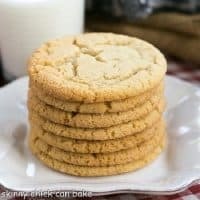 From the Chewy Gingersnaps I’ve been making for decades to an updated Triple Gingersnaps recipe with crystallized ginger, you can’t miss the spirit of the holidays with any of these in your kitchen. Make sure to stop by and grab a warm cookie from one of today’s Cookie Week participants! A star studded cookie that’s perfect for the holidays and all year long! Cream butter, shortening and sugars. Add egg and vanilla and mix well. Mix in salt and baking soda, then flour. Stir in cranberries, pecans, ginger and white chocolate. Scoop, then roll tablespoonfuls of dough. Place 2 inches apart on baking sheets. Bake for 12-14 minutes or till golden. Cool for a few minutes on baking sheet then remove to wire rack to finish cooling. Liz, I love love love all your #CookieWeek posts, almost as much as I love the idea of adding crystallized ginger into a cookie! This is an absolute gem–saving this for our next cookie exchange! Crystallized ginger ha? I will have to check if this is sold here! The cookies look perfect! I really love the combination of ingredients! Must have been really yummy! I love holiday cookies and am working on a pumpkin white chocolate cookie. But, Liz, these speak to me. Anything with crystallized ginger wins in my book. Can’t wait to see what else is up this week. You’ve really got my attention, the addition of the crystallized ginger sounds amazing. Too bad about the contest. I love the sound of this flavour combination. My favourite holiday cookie recipe is white chocolate and cranberry oatmeal cookies… but paired with ginger, oh my!! Thank you! 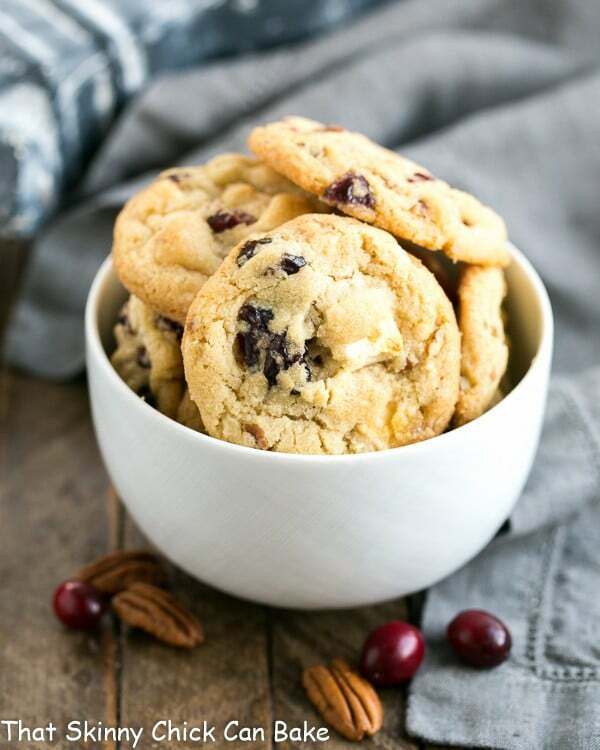 I love using crystallized ginger…what a great flavor combination in these cookies with the cranberries and white chocolate! Liz, I’m with you on a balanced cookie, and I’m intrigued by the flavors in yours. 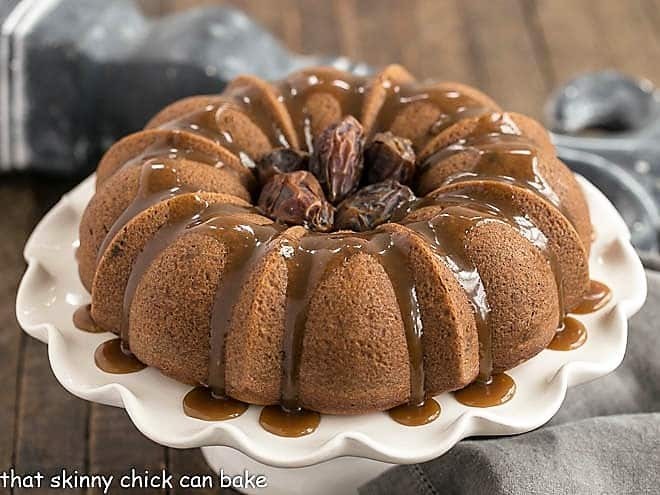 Mrs. W makes a similar one with cranberry and white chocolate, but the crystallized ginger must be lovely. Pinning for good measure! 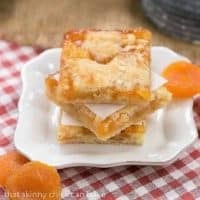 Wonderful cookies with a unique combination of flavors! Cookie week, hooray!!! Liz, your Cranberry, White Chocolate, Crystallized Ginger Cookies look so good!!! oh my gawd, I can taste the deliciousness and need to get my hands on some crystallized ginger!!! love and pinned!! What scrumptious cookies, I love anything cranberry and white chocolate! Love white chocolate, love cranberries! These look yummy! This is a GREAT flavor combo in these cookies and they look flawlessly made! Chocolate Chip Oatmeal and Sugar Cookies are at the top of my list. My favorite cookie to bake at Christmas time is gingerbread men. My favorite cookie to bake is thumbprint cookies! I love all your yummy cookie recipes. Thanks for the lovely giveaway too. These holiday cookies look fantastic, Liz. Ginger bread cookies with dark chocolate is one of my all-time favorite holiday cookies. Although your festive cranberry-white chocolate-crystalized ginger does look and sound tantalizing! I’m in love with these cookies! Gosh, it’s been a long time since I last tasted ginger cookies! Love the addition of cranberries! I really am loving these cookies. especially the addition of crystallized ginger! I’ve done cranberry and white chocolate but the addition of the ginger makes these even more of a celebration! Thanks so much for joining us for Cookie Week. I love every opportunity we get to work together. It’s always so much fun. Holy yum! Those look absolutely delicious. 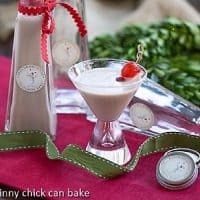 My favorite cookie o bake during the holidays is a white chocolate pecan cookie. 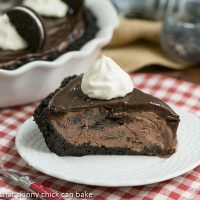 They are wonderful and a crowd pleaser! i so need to get better at baking cookies. I don’t know why I never do but these look just to good to pass! Bookmarked for future use! oh I forgot about this one glad you brought it back these are a festive perfect cookie! The mix of fillings is so tasty! While I’ve always loved these cookies, the addition of crystalized ginger took them over-the-top! Ginger cookies are always a favorite. These definitely hit the spot. SO good! The crystallized ginger makes these go from good cookies to amazing cookies! What a great touch. With the ginger, SO GOOD!!! 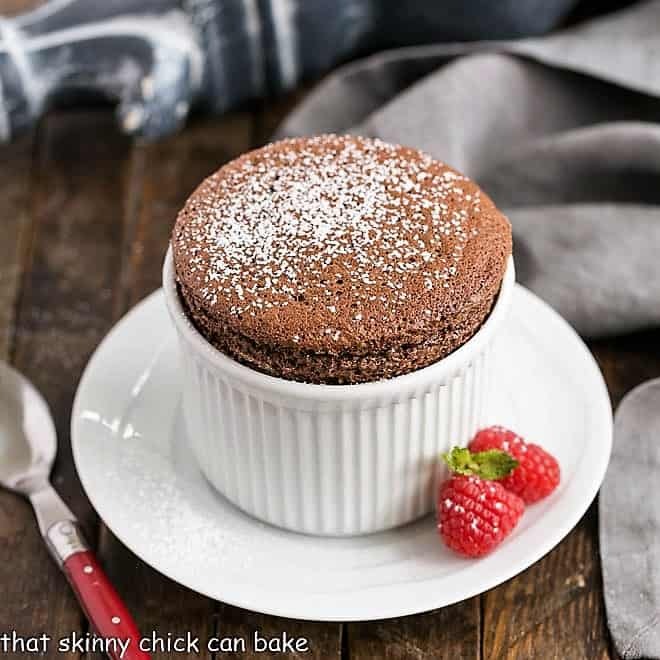 These are truly irresistible! My kids devour them in no time! 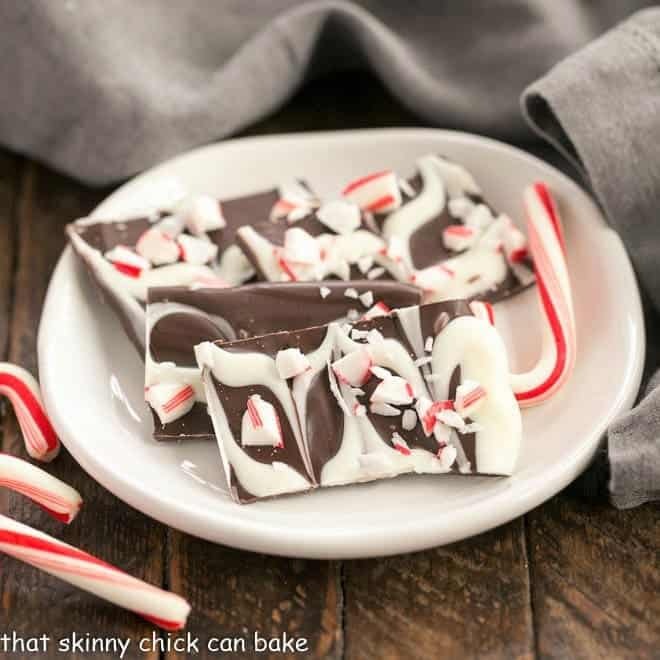 I love this combo of flavors, especially at the holidays! Such a huge favorite at my house.